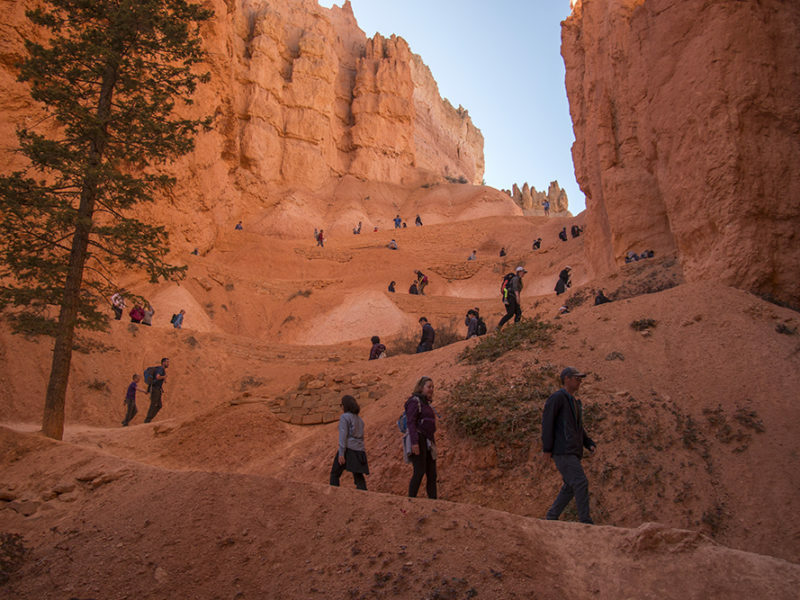 The Navajo Loop trail is a fantastic trail in Bryce Canyon National Park. 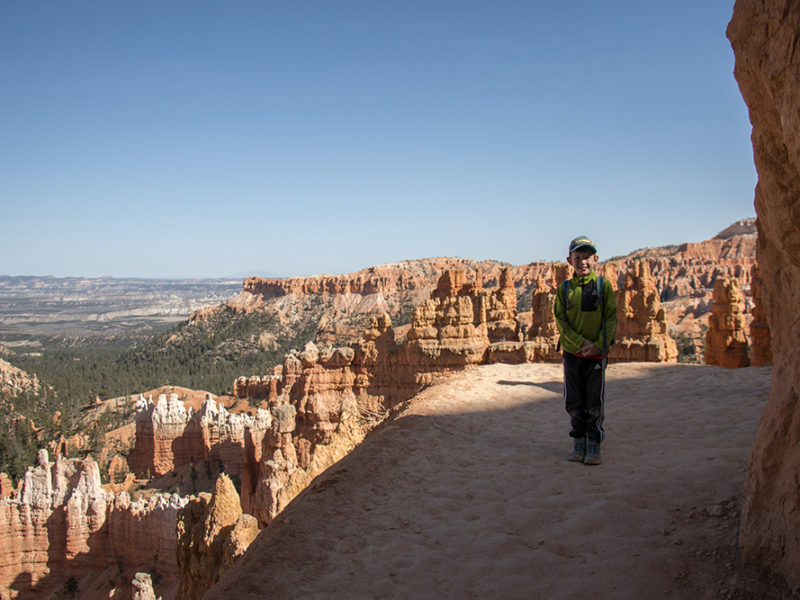 The trail starts at Sunset Point and meanders via switchbacks through a narrow canyon with sheer, towering cliffs alongside Douglas Fir trees. The trail passes the much-photographed Thor’s Hammer, a rock formation resembling the Norse god’s weapon. 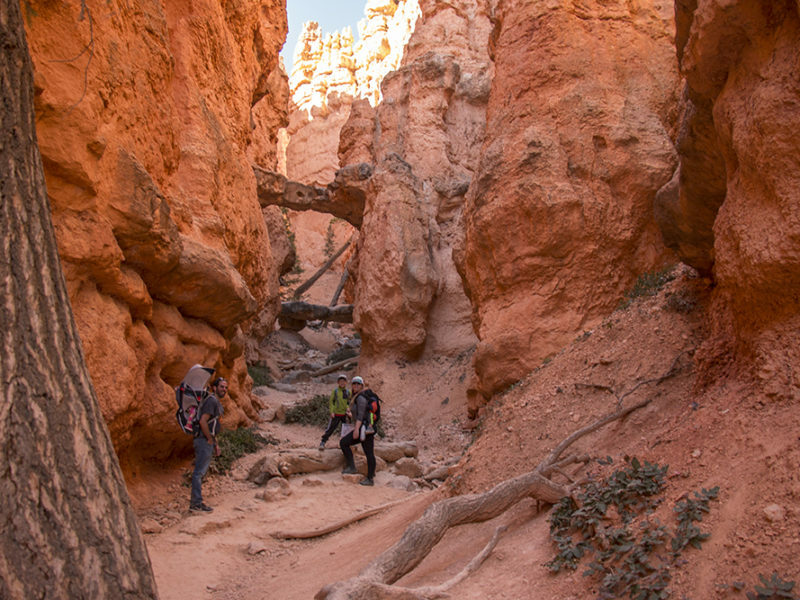 The loop finishes with more switchbacks back up to Sunset Point, but many choose to hike back up the Queen’s Garden Trail instead which ends at Sunrise Point; is a reasonable walk back to Sunset Point. At the bottom of the trail, there are shade trees and space to enjoy a picnic and rest before climbing back to the top. 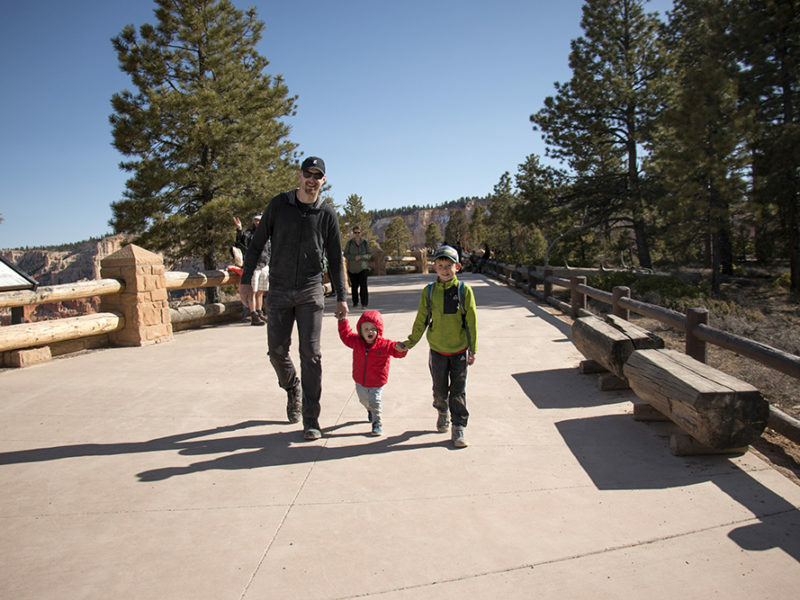 The trail is mostly gravel and may be slippery for young walkers and handholding is recommended. 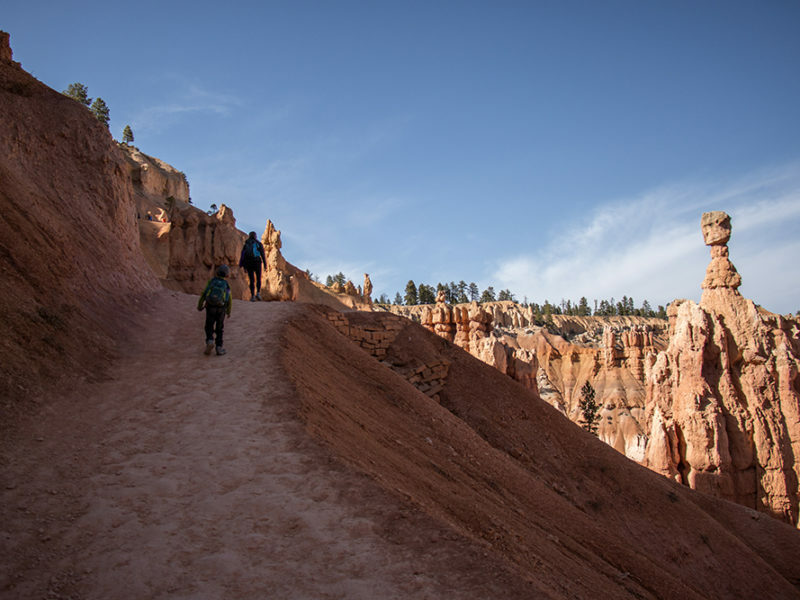 In the summer the temperature can easily pass 100°F, so if you can avoid hiking this trail in the afternoon, early morning or evening is recommended. Also be aware that the park sits at over 8000 ft above sea level. 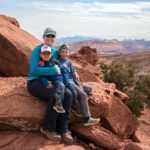 Summer temperatures can easily go above 100°F, so this hike is recommended for early mornings or evenings during the summer. Sometimes the Wall Street portion of this hike is closed when there are freezing overnight temperatures. 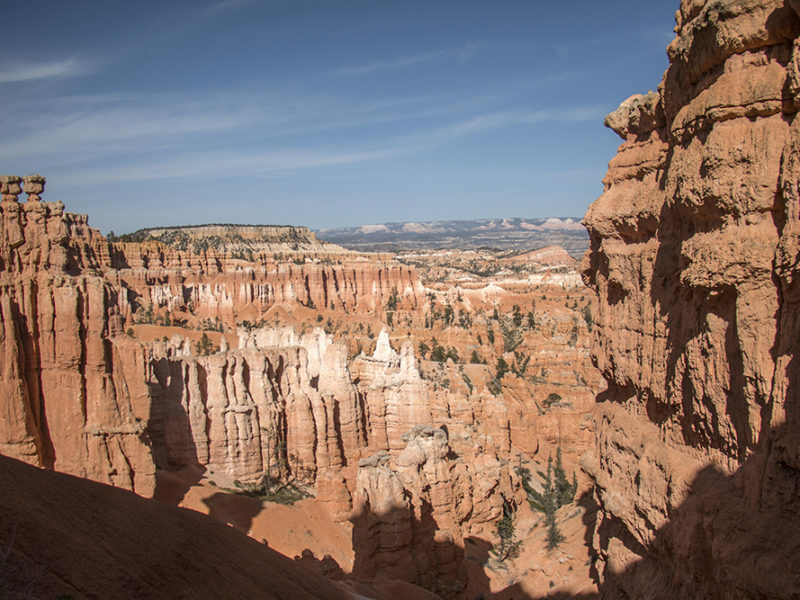 Bryce Canyon sits at over 8000 feet above sea level, so be sure to consider this when exploring, especially if you’re visiting from closer to sea level. 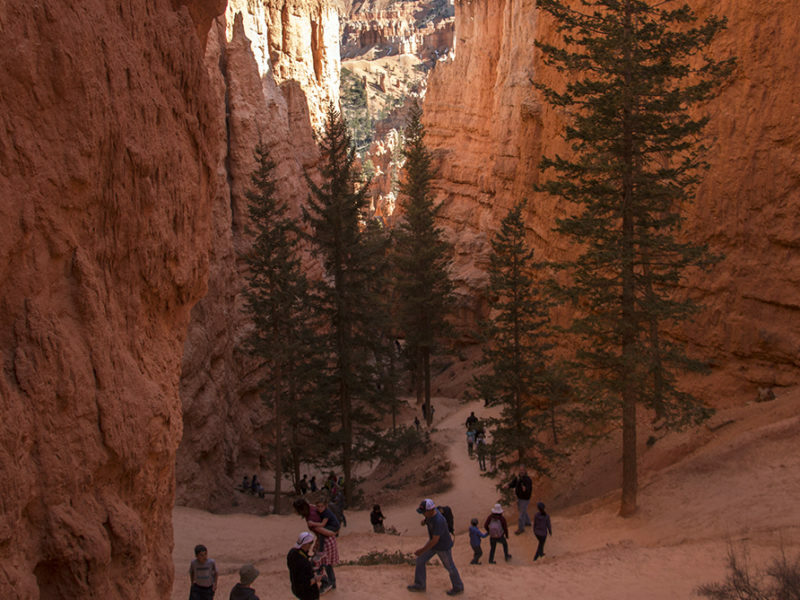 There is a $35 fee, per car, to enter Bryce Canyon National Park.